The United States Environmental Protection Agency (EPA) announced earlier this month the fuel economy numbers for the new 2014 Ram 1500 EcoDiesel truck. 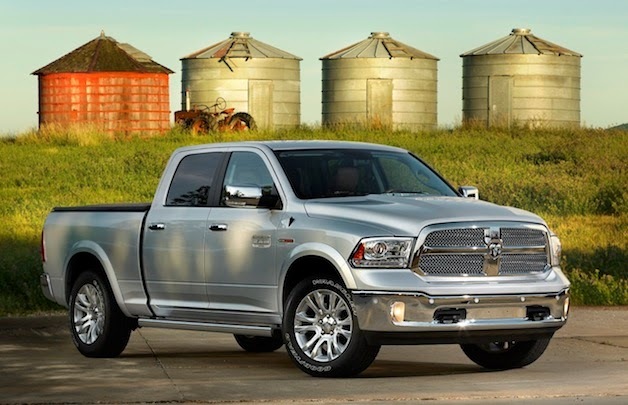 If you haven’t already guessed, the 2014 Ram 1500 EcoDiesel is the most fuel-efficient pickup truck in the industry right now. And remember that the 2014 Ram is the Motor Trend Truck of the Year – for two years in a row! The EPA’s new fuel economy rating is at 20/28/23 MPG. In other words, if you’re looking for a heavy-duty truck that won’t break the bank, you’ve found it. This half ton Ram gets 28 MPG highway fuel economy which is an even better rating than the top rated small pickup. If you’re interested in the ’14 Ram 1500, stop in today or give us a call. Click here to view our Ram inventory right from your home or smartphone!